If you're looking for information on Jaco Beach, here's the information you need. Jaco beach is located in the province of Puntarenas, just 2.30 hours from Juan Santamaria Airport and is the closest beach to San Jose, capital of Costa Rica. It's important to mention that Jaco beach is in the same way to Manuel Antonio beach. Those are ones of the most popular Destinations in our country. Jaco Beach has a great reputation worldwide by surf lovers, and its beaches have made distinguished events related to this exciting sport. This area has many hotels ranging from budget to luxury resorts, also you can find houses and villas for rent, and here you will find the perfect place to enjoy your vacations. 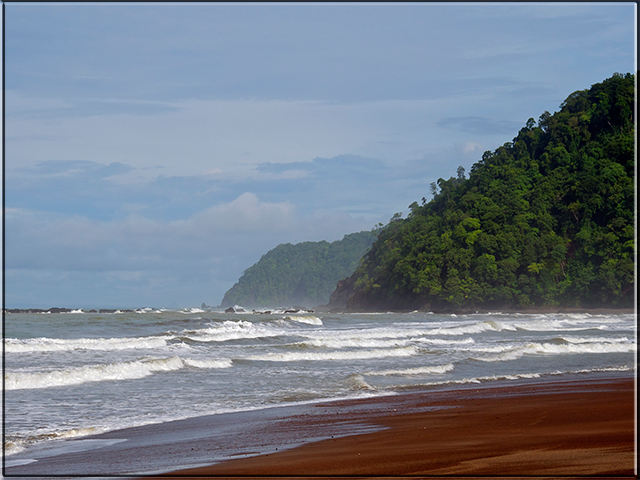 You can also go to some nearby destinations such as Playa Hermosa, which like Jaco, has awesome waves for surfing. This beach hosts the Quicksilver International Championship every year. You can choose to visit Turtle Island in Catamaran day trips, or take the Safari tour by the Tárcoles River, where you will watch many crocodiles. Also you can go to the Carara Biological Reserve, located around 7 miles from Jaco Beach; it is home to many mammals and a huge number of different species of plants and trees. You can walk around Playa Herradura, which is only around 5 miles north of Jaco, and has a quieter atmosphere. Finally you can visit Quepos, Manuel Antonio or Puntarenas too.